The Asbestos Disease Awareness Organization (ADAO) was honored for the opportunity to present at the II International Asbestos Seminar on May 16, 2018 for the second time. 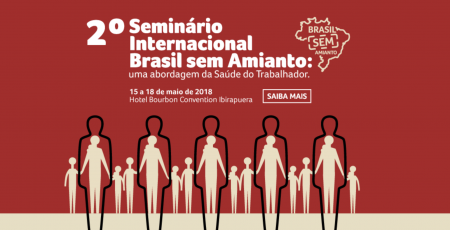 The second annual seminar, organized by the Associação Brasileira dos Expostos ao Amianto (ABREA), The Interunion Department on Worker’ Safety And Health (DIESAT), and Labor Public Ministry (MPT), takes place in Sao Paulo, Brazil from May 15 to May 19, 2018. The international conference brings together hundreds of stakeholders from the fields of medicine, public health, policy, advocacy, and more to discuss various aspects of the fight to end the asbestos man-made disaster in Brazil and around the world. Linda Reinstein, ADAO President/CEO and Co-Founder, was excited to attend this incredible conference with fellow Americans: Dr. Steven Markowitz (City University of New York/ Mt. Sinai), Dr. Barry Castleman (Environmental Consultant), and Dr. Arthur Frank (Drexel University). The symposium takes place at an important time in history when the debate on asbestos and its adverse consequences to human health continues, despite overwhelming scientific evidence that asbestos is a human carcinogen. According to Dr. Jukka Takala’s research, asbestos-related diseases cause 39,275 deaths in the United States annually—more than double the previous estimates of 15,000 per year. ADAO’s presentation, “Social Activism in the USA: The Most Recent Actions Forward to the Ban of Asbestos,” will focus on the progress and challenges in the USA to ban asbestos. We encourage the US to learn from more than 60 countries around the world, follow suit and ban asbestos without any loopholes or industry exemptions. For the latest seminar updates, follow the hashtag on social media #BrasilSemAmianto and stay tuned for more information from ADAO. 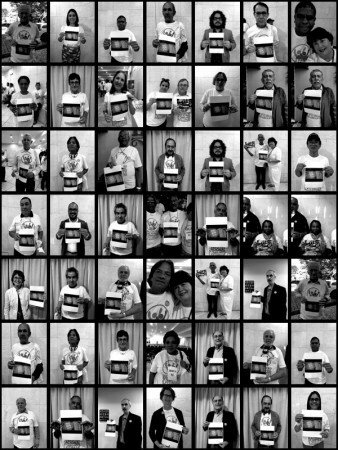 This entry was posted in Blog and tagged ABREA, ADAO, asbestos, Asbestos Disease Awareness Organization, Brazil, Brazilian Association of the Exposed to Asbestos, Global Ban Asbestos Network, II International Asbestos Seminar, mesothelioma. Bookmark the permalink.